DS Jack Weston (Damien Molony, Ripper Street) and DC Charlie Steele (Clare-Hope Ashitey, Children of Men) are shocked when their boss, DI Martha Bellamy, is shot dead in her home. 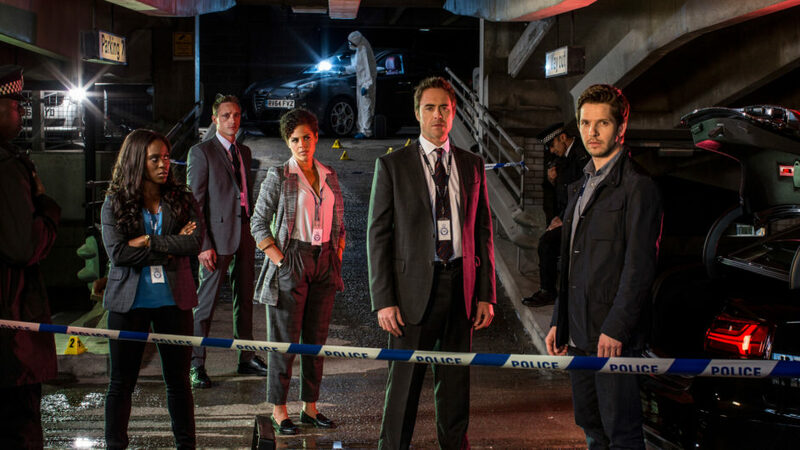 DCI Daniel Drummond (James Murray, Defiance) joins Jack and Charlie to lead the investigation into Martha’s murder, also bringing in detectives Alisha Brooks (Lenora Crichlow, Being Human) and Gary Roscoe (Perry Fitzpatrick, Drifters). The new team soon realizes that Martha’s murder could be connected to a cold case she was investigating. Could one of those suspects have killed her? “Britain’s unscripted relative of Law & Order” (The New York Times), this improvised, fly-on-the-wall procedural provides an intriguingly realistic look at police work combined with the thrill of a gripping murder mystery.